The opportunities the course provide you with are amazing. From the trips to London, Paris, New York and Tokyo to exchange opportunities. 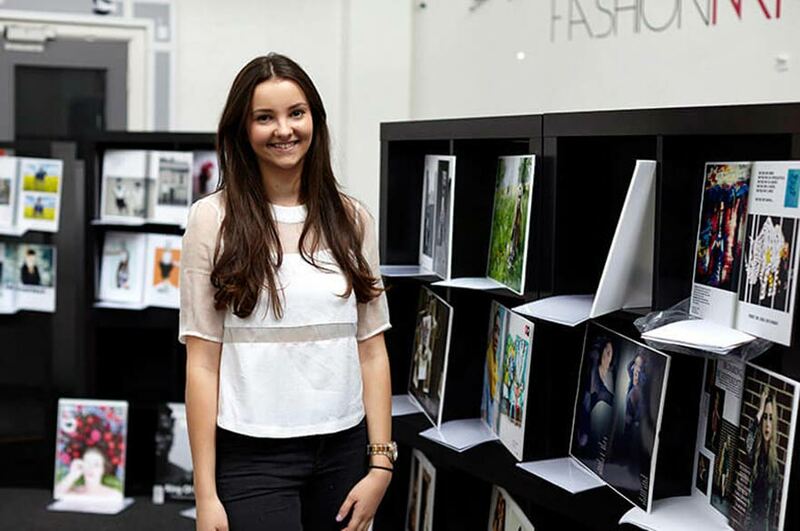 Whilst studying Fashion Marketing and Branding at NTU, Sophie also applied for an exchange to the Fashion Institute of Technology (FIT) in New York. In Year Two she spent five months studying at FIT, getting to experience a different course and culture. What made you choose to study Fashion Marketing and Branding at NTU? "The Fashion Marketing and Branding course was exactly what I was looking for. I loved the trips the course offered and the possibility of an exchange in New York." "In Year Two we were given a ten week optional work placement. I decided to split my time between a PR role at All Saints, a PR role at Four Marketing and finally an advertising internship and Adam and Eve DDB. The ten weeks allowed me to put into practice everything I had learnt but was also very beneficial as I was able to discover what I enjoyed doing the most. This really helped give me more of an idea as to the career I would like in the future." "I joined a Fashion Promotion course at the New York Fashion Institution of Technology from August to December. To apply I had to write 250 words explaining why I wanted to participate in the exchange, and then I had an interview with the exchange coordinators." How did you find the exchange? "I loved the course in New York because you chose your own modules and created your own timetable. This allowed me to fit all my lessons in between Monday to Thursday which left me with a long weekend to explore New York. "We were allowed to choose modules from any course which meant I had the chance to study styling, sales, promotion and I even took a PE class. I wouldn't have had the chance to study these modules at NTU as they aren't part of my course. The exchange allows you to try something different for a few months that you might not necessarily want to study for three years." What was the best thing about living in New York? "The best thing was getting to see New York as a New Yorker and not as a tourist. When you are there for such a long period of time you get to see things you don't notice when you are there on holiday for a week." Why would you recommend Fashion Marketing and Branding at NTU? "The opportunities the course provide you with are amazing. From the trips to London, Paris, New York and Tokyo to exchange opportunities, and the ten week work placement in Year Two. I feel like all of these extra opportunities have allowed me to build my CV alongside studying for the degree itself."